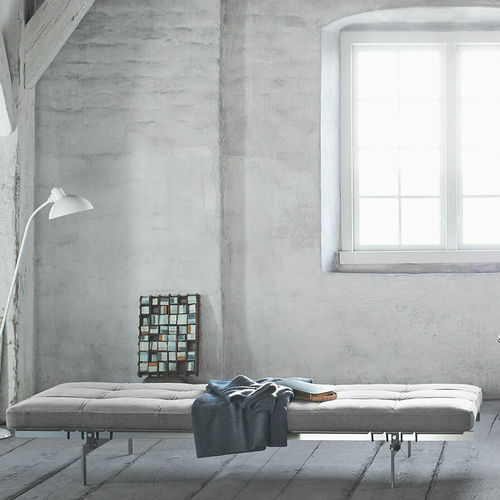 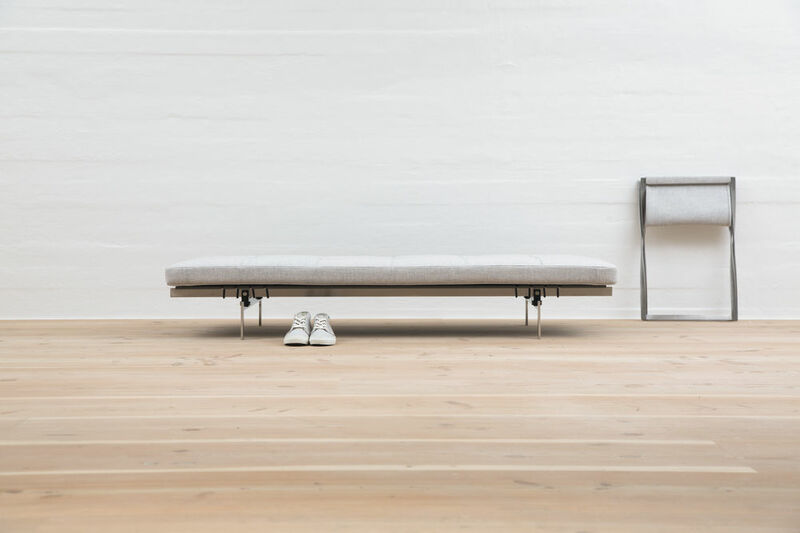 In an ongoing attempt to unite the sublime with the absolutely necessary, Poul Kjærholm designed the PK80™ daybed. The result is one of Kjærholm’s most sophisticated and iconic designs with a striking beauty. 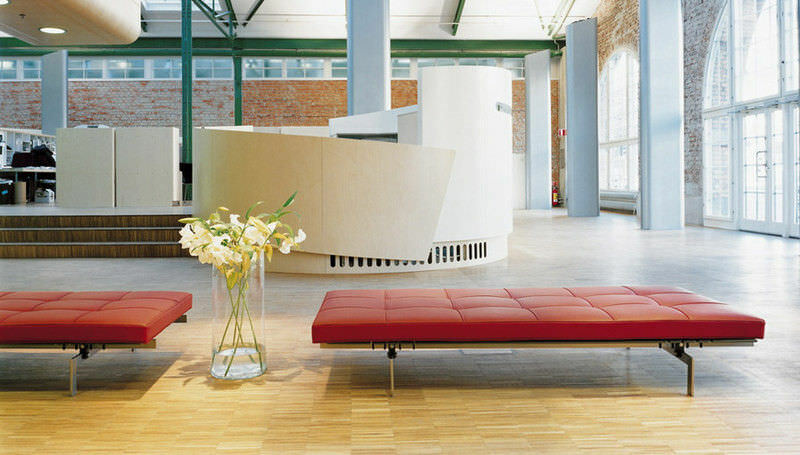 The purchase of the PK80™ for the galleries of the Museum of Modern Art in New York, in 2004, recognises the daybed’s natural place in furniture history. 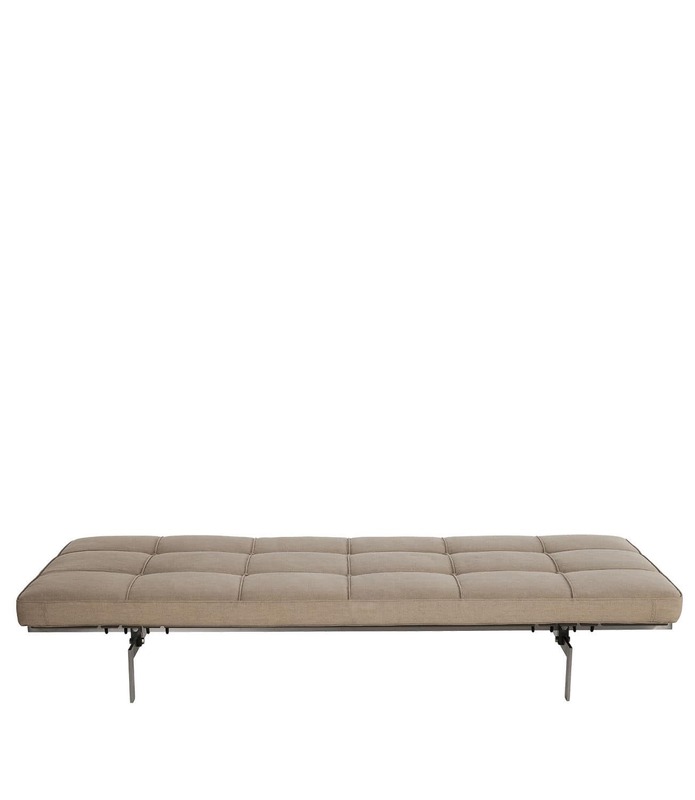 The PK80™ daybed comes with a seat in a limited range of leather types or natural canvas. 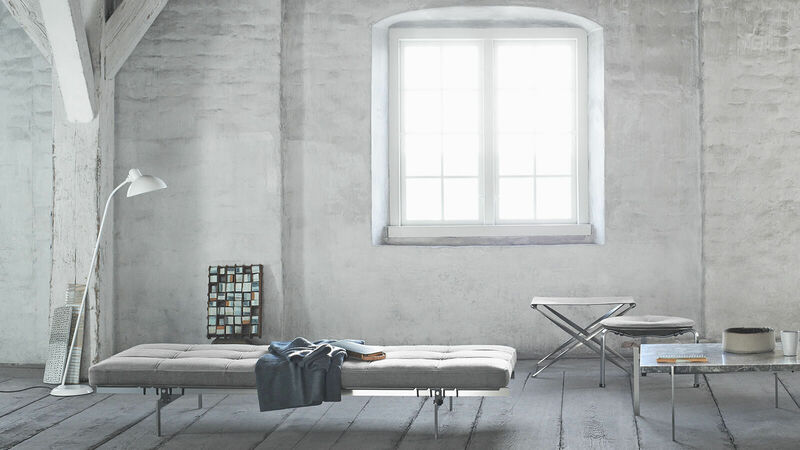 It rests on a painted plywood bedplate, and the frame is made of satin brushed stainless steel.